SVRTC’s February meeting was held on Wednesday, February 21, 2018 at Nottoway High School. The meeting was attended by twenty-one professionals with representation from fifteen divisions (Amelia, Buckingham, Charlotte, Cumberland, Danville, Dinwiddie, Greensville, Henry, Hopewell, Lunenburg, Mecklenburg, Nottoway, Petersburg, Pittsylvania, and Prince Edward). 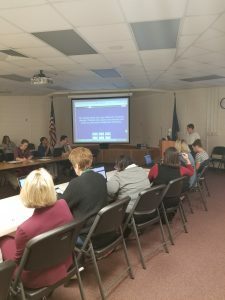 While committee members had a lot to discuss since the November meeting (no December meeting and January meeting canceled to weather), participants first got to enjoy a presentation from Sharon Bolan, a Library Media Specialist from Lunenburg County Public Schools. 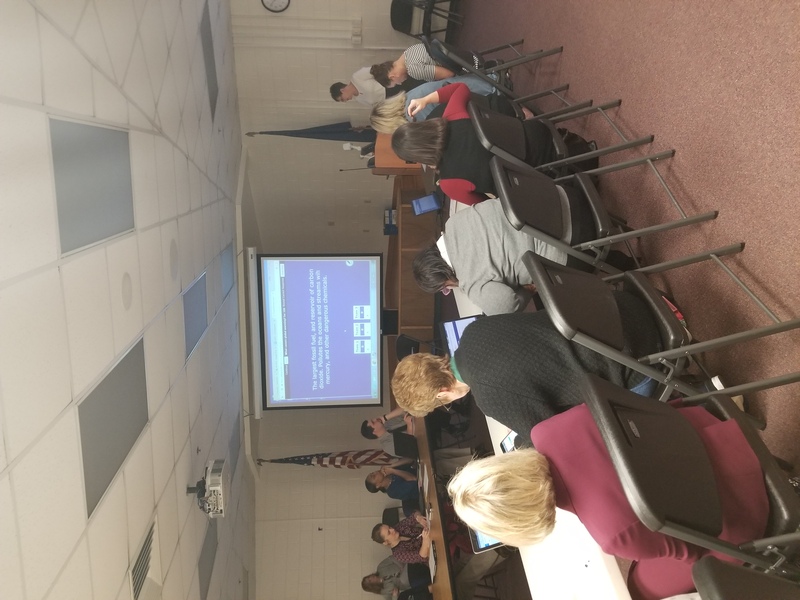 Ms. Bolan’s presentation included a demonstration of several website tools she used to increase student engagement and learning in the classroom. Some of the tools she presented, were “oldies, but goodies”, Bolan said.